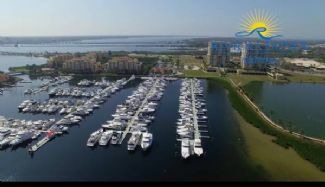 Slip S-52 in Riviera Dunes Marina is the largest slip available in the Bradenton area's finest marina. This desirable T-head in southwest Florida's best protected marina will accommodate vessels up to 110' LOA. Power pedestal currently configured for 4 50-amp receptacles, but can be changed over to 100 amp service. Association fees include water, cable TV, Wi-Fi, swimming pools, bathrooms/showers, laundry, on-site restaurant, fuel dock with pump out. Sale Price: $275,000 Mostly listings charge by "Flat Rate" per month.